Crown Melbourne has announced Betfair as Presenting Partner of the prestigious 2013 Aussie Millions Poker Championship. Betfair is the world’s leading online betting exchange and was first licensed in Australia in 2006. Unlike a traditional bookmaker, Betfair allows its punters to bet against each other by both backing and laying, at odds of their choosing. Crown’s Chief Executive Officer, Greg Hawkins said, “We are thrilled to announce that Betfair will be the Presenting Partner of the Aussie Millions Poker Championship in January 2013." "The Aussie Millions is Crown’s marquee poker event, and there is terrific alignment between these great, established brands. Sport is an enormous part of Australian culture and Betfair’s unique betting exchange is a fantastic complement to the Aussie Millions, and our poker patrons”. Betfair Australia CEO, Giles Thompson, said Betfair sees its ground breaking partnership with Aussie Millions as an ideal fit for both organisations. “Betfair has changed the wagering landscape in Australia with its unique betting exchange offering, while the Aussie Millions has introduced an innovative tournament, which has heightened interest in the game of poker. This sponsorship will provide for Betfair to occupy a number of premium branding positions, most notably on each table of play during the tournament. About Betfair: Betfair is the world’s largest betting exchange and has a presence in a number of jurisdictions including Australia, United Kingdom and the United States. Betfair is the only licensed betting exchange in Australia and supports racing and sporting bodies via the payment of product fees and sponsorships. 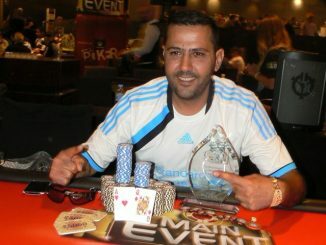 About Aussie Millions Poker Championship: Crown’s Aussie Millions Poker Championship is held each January in Melbourne, Australia. Holding firm the title of the longest, largest, richest and most prestigious gaming event in the Southern Hemisphere, the Aussie Millions Main Event has paid close to AUD $15,000,000 in first prizes to date. 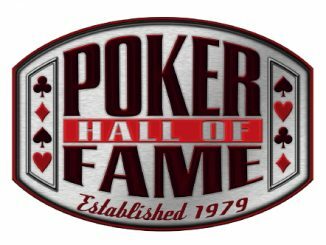 In 2013, the event will feature 26 different poker events over 18 consecutive days. The Aussie Millions will commence on Thursday, January 17 and will run through to Sunday, February 3, 2013. For more information, visit www.aussiemillions.com.au.